If you’re anything like me then I’m sure you’ve noticed the bright spots of color that have begun to dot the landscape, whether that be the open pastures along Highway 100 or on the lawns that line our residential streets. Everywhere, spring wildflowers have begun to bloom. A few weeks ago I wrote about the yuccas and their singular stalks of buttery white flowers. And also of native trees which had begun sprouting goldenrod colored blooms. Seeing them from afar, I mistakenly thought the trees were mesquite, which do produce yellow flowers. Had I taken the time to view one up close, however, I would have noticed that the blooms were puffball shaped and not long, trailing fingers of yellowy wisps. No, I think what I saw blooming at the same time as the yuccas were actually huisache trees, a type of acacia tree. Well, since I wrote that column most of the yucca blooms have gone to seed, and the foliage of the shrubs and thorny brush shows more green than yellow now. But, a new crop of flowers have taken their turn in the sun. Our Magic Valley is home to so many different kinds of flowers that one could very easily go on a scavenger hunt in search of native Texas wildflowers. 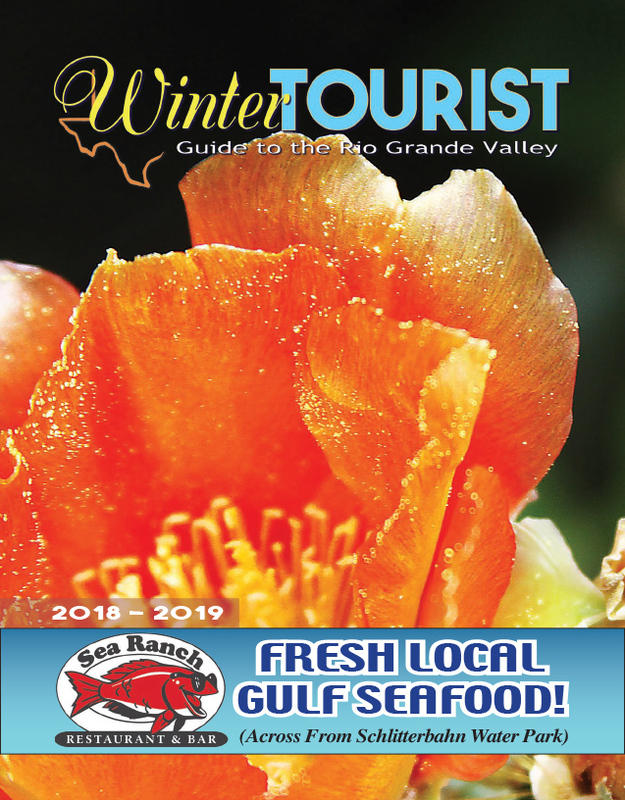 On South Padre Island you can find the delicate white blossoms of beach morning glories practically glowing from where they rest on the trailing vines which hug the sand dunes. But if you look in the brushy areas near the end of the road, you might also find the two-toned firewheels hiding among the vegetation, as well. These brightly colored flowers, which are also known as Indian blankets, feature long, daisy-like petals that are vivid crimson in the center and yellow on the outermost tips. Sometimes that color change is sharply delineated, while other blooms produce a gradient that showcases the color change more gradually. The small mats of pink flowers you’ll see growing in the medians of highways are pink evening primrose. These four-petal flowers feature a ring of white and a dot of yellow at their centers, from which a few delicate stamens rise up. One of my favorite spring flowers is the Texas thistle. You’ll find these along highways, hidden in protected green spaces, or anywhere weeds are allowed to thrive. They send up shoots that are a couple of feet tall before spiky buds that look like something out of Invasion of the Body Snatchers begin to take shape. The blossoms themselves look like they were inspired by a futuristic science-fiction movie — the buds open into a large, orchid colored puffballs. Butterflies and bees alike seem to love them. Then there are the ubiquitous prickly pear flowers. While most of the ones here in the Rio Grande Valley bloom a sunny shade of yellow, if you look hard enough you can find them in other colors, too. In fact, there are a few nopales that grow along Highway 100 just outside of Laguna Vista that produce prickly pear flowers in pastel shades of peach. Other Valley specimens produce orange, red orange and even magenta colored flowers. There are so many more flowers that can be found around the Valley, including Texas lantana, milkweed, white prickly poppy, Mexican hat and even the occasional bluebonnet, though their normal range is a little farther north. So, if you’ve ever wanted to cross some flowers off your bucket list, now is definitely the time. Good luck!